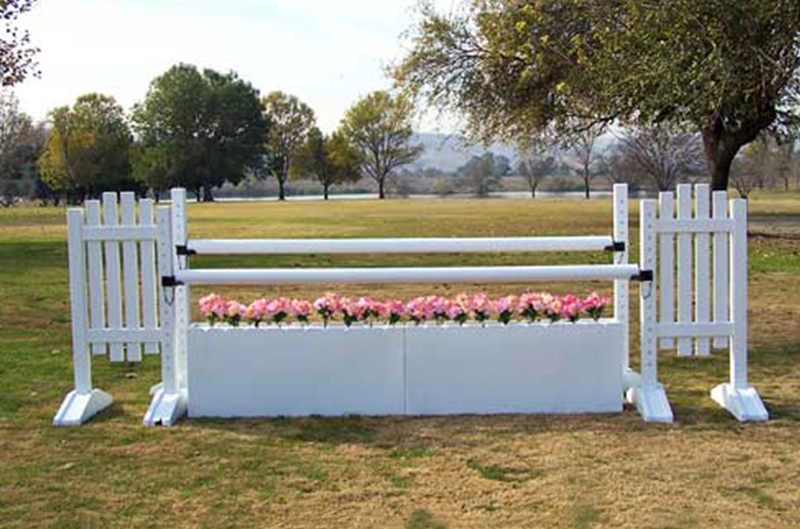 Jumps come complete as shown with the Standard Cup Pin Holes. You may upgrade to the Metal Keyhole Track & Pinless Jump Cups. 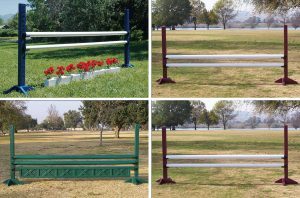 Customize each jump by choosing the color combinations you desire. Includes five complete jumps with everything shown in the pictures. 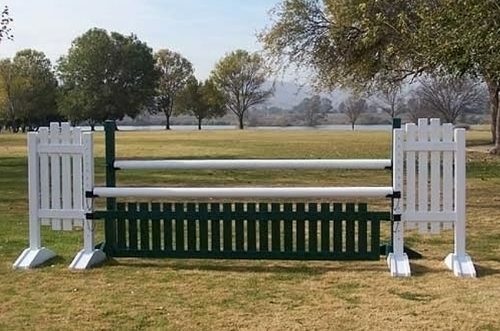 Jumps come fully assembled, just attach the jump feet, standards have height marks! The standards come with solid pinholes or you can upgrade to pinless keyhole jump strips, if you prefer pinless jump strips. 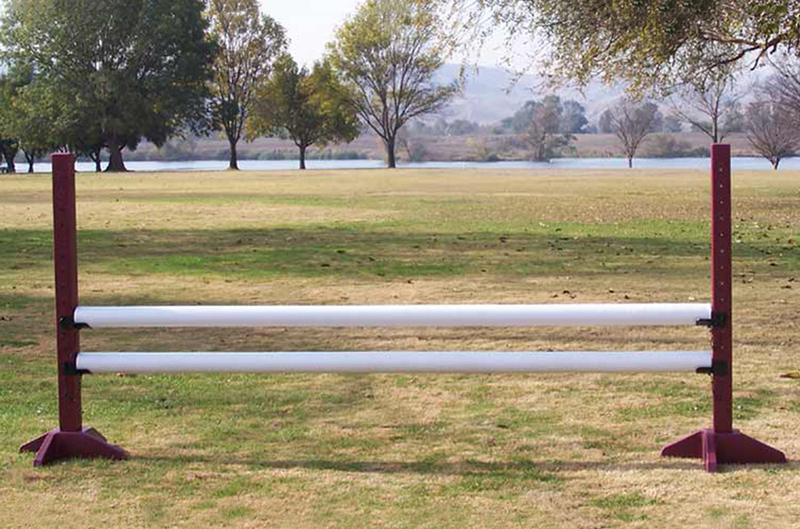 Burlingham Sports Starter Set includes: 5 pr. 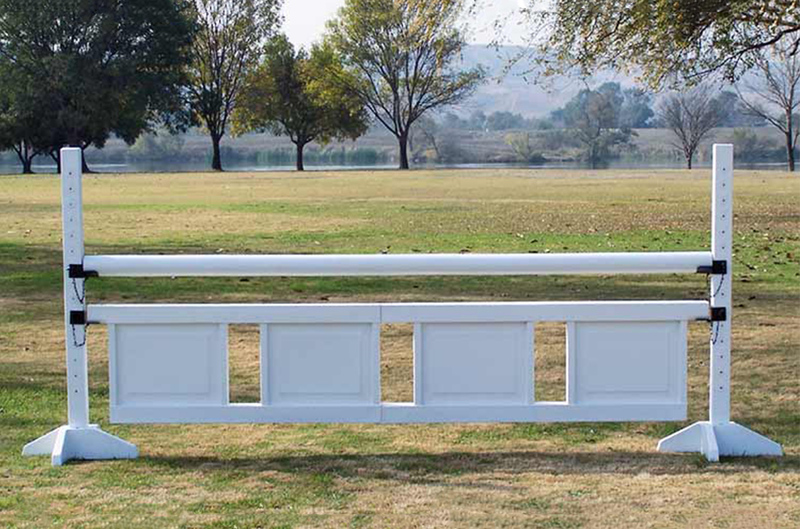 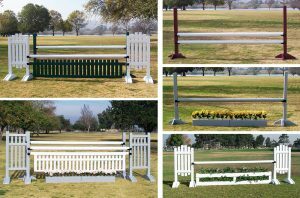 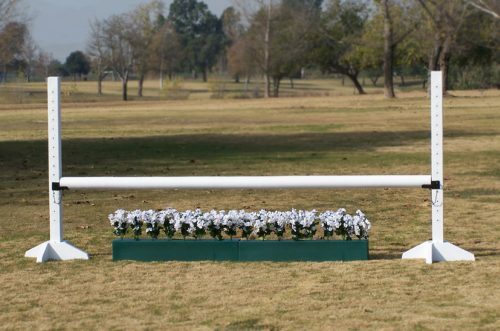 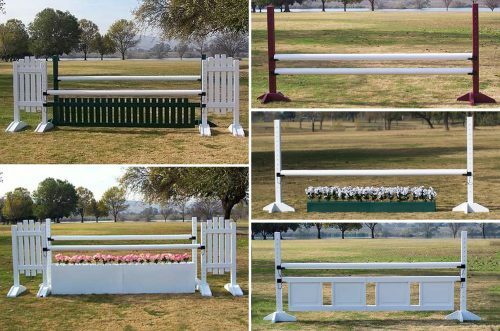 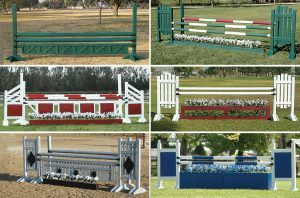 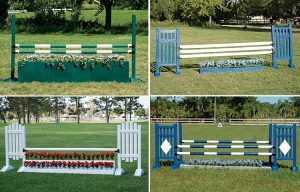 schooling standards, 2 solid color standards, 8 solid color Polywrap poles, 1 two tone gate, 1 picket gate, 1 set picket wall, 1 set flower boxes, flowers, and jump cups.